Is there any way to get more information than the $Failed? 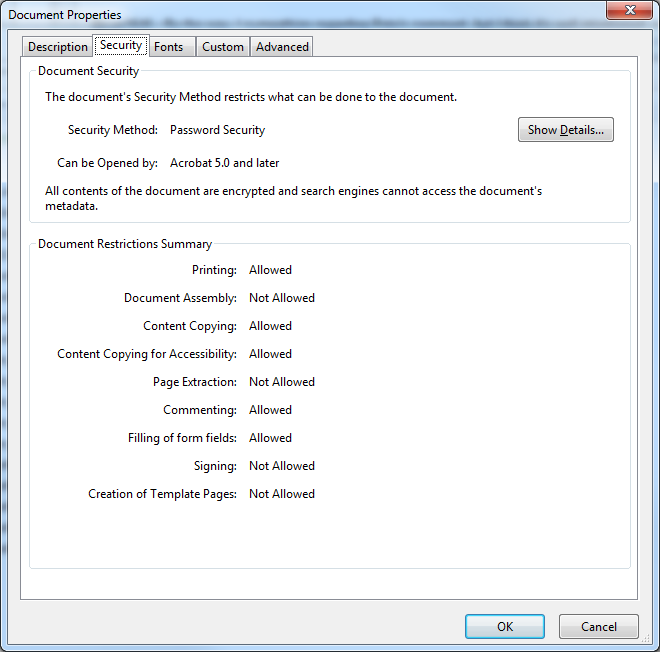 If the PDF file was composed with one of the latest security features of Adobe, you will not be able to parse. You need adobe Acrobat Pro to remove the security feature. This is assuming you have the priviledge to do so. Another option is to print the file to Paperport PDF convert to PDF format and re export to PDF. But this might defeat your purpose to extract all the text from the orginal file. I'm posting a separate answer to show what I did but please upvote @JoseECalderon if you find this answer useful, as he led me in the right direction regarding security settings. and then was able to import the PDF. Not the answer you're looking for? Browse other questions tagged import pdf-format or ask your own question. Import 'file not found' error. Why?